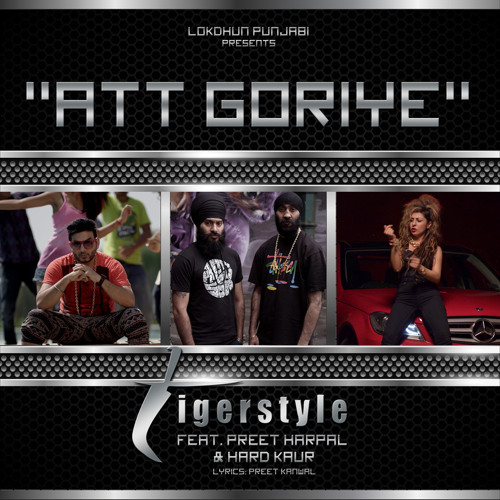 UK Bhangra production/DJ duo Tigerstyle link up with talented Punjabi singer Preet Harpal and the “Queen of Bollyhood” Hard Kaur for their brand new international single Att Goriye. This epic slow jam has sultry sitars, soulful Punjabi vocals and just the right amount of Hip Hop edge to make it a sure fire HIT!!! Lyrics for this memorable melody are put together by Preet Kanwal. Att Goriye will be out WORLDWIDE on Lokdhun Punjabi in the coming weeks. The single will be supported by a music video by TeamDG, Directed by VikCee.